We required your home address, your telephone number and your birth year. Office hours: Monday to Friday, from 9:00 a.m.to 9:00 p.m., Saturday and Sunday from 9:00 a.m. to 5:00 p.m.. From December 10 to January 2 and during the months of July and August, from 9:00 a.m. to 5:00 p.m.
AGAPETHERAPY : Arrival is between 2:00 p.m. and 5:00 p.m. The sessions begin at 5:00 p.m. and end on the sixth day at 1:00 pm. 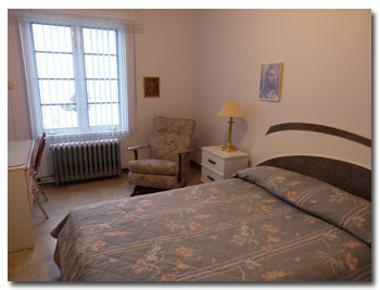 To meet the needs of anglophones, we also occasionally offer Agapetherapy retreats in English. For groups who speak another language, simultaneous translation and interpretation services are required. Weekends : From Friday 7:30 p.m. (7:00 p.m. in 2017-2018) to Sunday 1:00 p.m. Please note that our Internet network is not available during sessions.